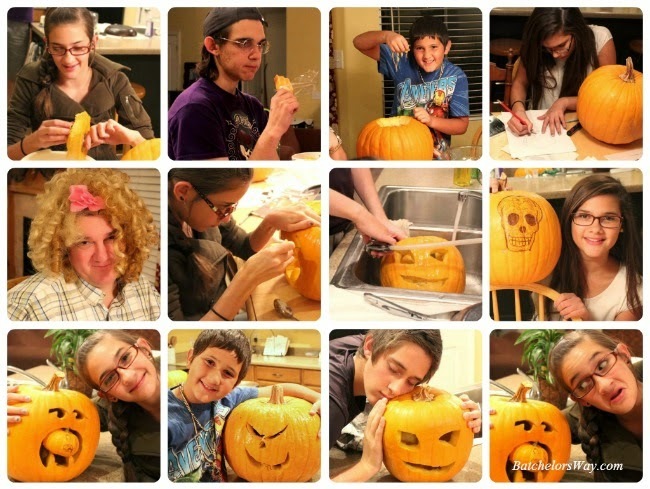 Batchelors Way: Halloween Festivities and Better Homes and Gardens! Halloween Festivities and Better Homes and Gardens! It's busy as ever over here at the Batchelor's, but I can't let too much time pass with out showing you a peak at our Halloween festivities. This past month has been full of Halloween and Birthday parties for our girls! They even said one night ,"Enough with the parties!!" For Halloween night Emilee dressed up as a Doll, Branden a Werewolf, and Ashlee went steam punk. For the first time we had a big pumpkin for all the kids that we grew right in our own garden!! Here's a glimpse at our pumpkin carving night!! Now I just want to share in my excitement. Better Homes and Gardens is coming to my house to do a photo shoot of my office!!! Yes, you just heard me squeal!! "THE" Better Homes and Gardens, somebody pinch me!! I will be sure to fill you in more after it all happens, but for now just join me on my cloud 9!! way to go Ronda!! Can honestly say, I'm not surprised! Oh my! This is so exciting for you! You truly are an inspiration to get what you want and do it on a low budget. 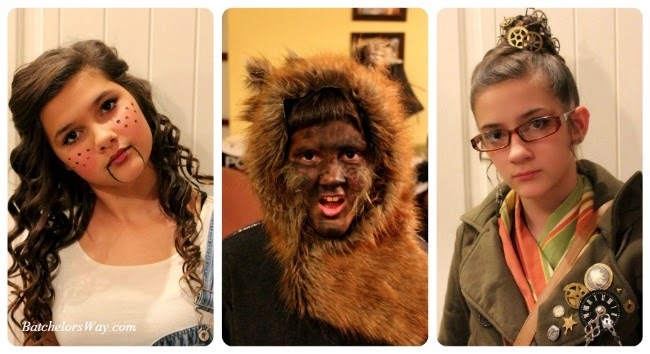 Your kids costumes are awesome!